Tips & Tricks: What makes a great impedance analyzer? 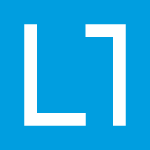 The new LabOne 18.05 is available for download now. Free of charge to all users. Experience new features including new plotting capabilities: Image rendering now supports high-resolution monitors (4K). The Plotter tool supports the display of density plots of signals and we have added an Autosave functionality for plots with the history list. Download and install to enjoy all the new features (and absence of the eliminated bugs). Welcome to the Q3 2018 newsletter! As the company grows and increases its international footprint, we are looking for likeminded people to join our endeavors in digital signal processing. Please check our openings for positions in Shanghai, China, and Zurich, Switzerland. We are also establishing our first office in the USA and are looking for talented people to build up our US operations in the Boston area. Find the winners of our 2018 Student Travel Grant and see some of our customers' recent publications using Zurich Instruments equipment below. 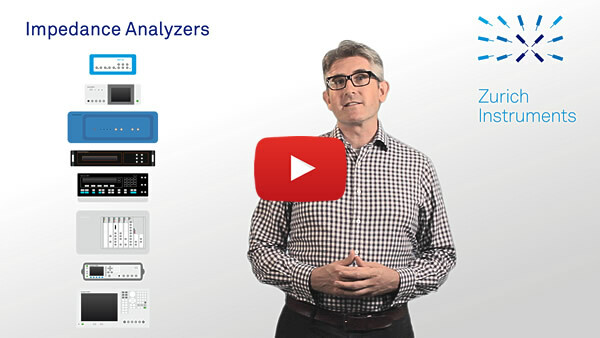 Our latest video added to the Zurich Instruments' YouTube channel walks you through the aspects of what makes a great Impedance Analyzer. This succinct and punchy overview describes the six aspects to keep in mind when purchasing an Impedance Analyzer. It includes a clear introduction to the reactance chart, which is helpful to users both new and old. Your desired job profile is not on the list? Please check our career pages for further updates in the upcoming weeks or send us your CV and motivation letter to career@zhinst.com. Check out Tim's latest blog showing how the MFIA measures capacitance as a function of DC bias voltage rapidly and accurately. Thanks to the LabOne DAQ module, the capacitance and bias voltage are easily acquired simultaneously with a time resolution of just 20 microseconds. Accurate capacitance measurements are shown at voltage sweep rates of up to 3 kV/s. The DAQ module enables C-V measurements right out-of-the-box on both our MFIA and our MFLI with MF-IA option. Magnetic field measurements based on the Hall effect are used in many present-day applications. From material characterization and fundamental research, over redefining resistance standards to many industrial sensing applications, the technique is popular as it works over a very wide range of magnetic fields. 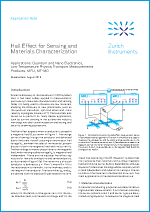 Our latest Application Note on Hall Effect Measurements for Sensing and Materials Characterization explains the basic measurement techniques. In addition, you learn how using one or multiple Zurich Instruments MFLIs for Hall effect measurements will help you to achieve high SNR and high accuracy, while minimizing your measurement time and effort. Many of today's approaches to building a quantum computer require the reliable generation of arbitrary microwave signals in the 4.5 to 9 GHz regime for qubit manipulation and readout. Whereas signal timing, resolution and low noise are of utmost importance, the signal modulation bandwidth required is usually limited to a couple of hundred MHz. Although there are arbitrary waveform generators available for the GHz regime, they come with substantial drawbacks on cost, vertical signal resolution and usability (for example the length of time it takes to program new waveforms), when compared to the up-conversion approach described here. 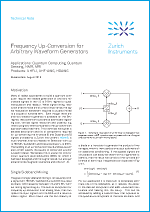 Our new Technical Note on Frequency Up-conversion for Arbitrary Waveform Generators gives a detailed description and list of components required for up-converting the In-phase (I) and Quadrature (Q) signals provided by the Zurich Instruments HDAWG, a multi-channel Arbitrary Waveform Generator with up to 750 MHz bandwidth and 8 local oscillators, to 8 GHz. The building of an up-conversion board and key parameters which specify the quality of conversion are discussed in detail. We believe this is useful not only for circuit quantum electrodynamics (QED), for which it had been designed and thoroughly tested, but also applications like magnetic resonance and others. 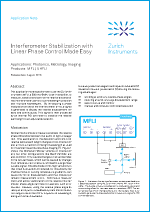 This application note explains how to use the Zurich Instruments MFLI, a 500 kHz/5 MHz Lock-in Amplifier, to measure, stabilize and control the relative distance of two interferometer paths to sub-wavelength precision over multiple wavelengths. By introducing a phase modulation on one of the interferometer arms, a signal is generated from the first and second harmonic and subsequent phase-unwrapping that describes the relative displacement linearly and continuously. This signal is then used by an internal PID controller to stabilize the relative path length to an adjustable setpoint. That makes the MFLI a simple and convenient one-box-solution to the problem. In case of modulation frequencies exceeding 200 kHz, the Zurich Instruments UHFLI, a 600 MHz lock-in amplifier, can be used to implement a slightly adjusted scheme. Zurich Instruments Lock-in Amplifiers support both techniques. 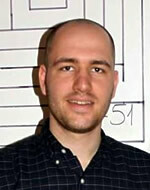 In Mehdi's recent blog post you learn about the advantages and disadvantages of each scheme. Also you'll see how to avoid the most common pitfalls. We are excited to present to you the winners of our Student Travel Grants 2018 call! 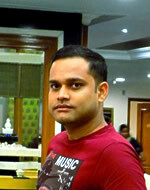 Anirban Roy (Indian Institute of Technology Gandhinagar, India): Measurement of atmospheric carbon dioxide and water vapor in built-up urban areas in the Gandhinagar-Ahmedabad region in India using a portable tunable diode laser spectroscopy system, Applied Optics, Vol. 56, Issue 31, 2017. Charles Link Patrick (Princeton University, USA): Cavity attenuated phase shift Faraday rotation spectroscopy, arxiv:1808.07468, 2018. Jamie Vovrosh (University of Birmingham, UK): Parametric feedback cooling of levitated optomechanics in a parabolic mirror trap, Journal of the Optical Society of America B, Vol. 34, Issue 7, 2018. The Student Travel Grants call is our annual action to support young scientists by enabling them to travel and participate at scientific conferences across the world. We are thankful for all the submissions and your feedback that helps us to connect closely with the community of young researches among our users and gain valuable insight into the various applications of our products. Congratulations to the winners and remember - the call will be open again in spring 2019! Anirban, Charles Link, Jamie, could you tell us a little bit more about how the Zurich Instruments device helped you with your work? What did you like about the instrument and working with it? And what could we improve? Anirban: "My doctoral work is focused on measurement of greenhouse gases in India using tunable diode laser spectroscopy-based systems. The Zurich Instruments lock-in amplifier (HF2LI) was a crucial component of my experimental setup. It helped me perform narrow-band phase-sensitive detection of the first and second harmonics for extraction of mole fraction and pressure. The HF2LI is user-friendly and it truly proved its robustness during our outdoor measurements where noise levels were much higher than that in lab environments. It would be good if a display screen could be added to the instrument. That would eliminate the need of using an oscilloscope with it." 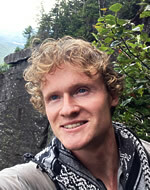 Charles Link: "(The instrument enables) convenient and compact demodulation of multiple signals. Nice UI and excellent performance. Multiple times I compared the demodulated signal between several LIAs. So far, Zurich’s has always at least tied best SNR. The UI is good. Also, I’d like better documentation on data saving with MATLAB. However, the current documentation was sufficient." Jamie: "During my PhD I used two HF2LI Lock-in Amplifiers as part of my experimental system to parametrically feedback cool all three motional degrees of freedom of an optically levitated nanoparticle from room temperature to a few millikelvin. The device was low noise, had second harmonic generation built in and was able to keep locked to a single signal over a good frequency range. In addition to this the device was incredibly easy to use with a good graphical user interface. Finally the support from Zurich Instruments in using the device was great. The ability to generate different shaped waveforms in addition to the sine wave output would be useful." P. Fimpel, C. Riek, L. Ebner, A. Leitenstorfer, D. Brida, and A. Zumbusch, "Boxcar detection for high-frequency modulation in stimulated Raman scattering microscopy" in Applied Physics Letters, Vol. 112, Issue 161101, 2018. B. O’Callahan, J. Yan, F. Menges, E. Muller, and M. Raschke, "Photoinduced tip-sample forces for chemical nanoimaging and spectroscopy" in Nano Letters, online ahead of print August 6, 2018. A. Okada, Fumikazu Oguro, A. Noguchi, Y. Tabuchi, R. Yamazaki, K. Usami, and Y. Nakamura, "Cavity enhancement of anti-stokes scattering via optomechanical coupling with surface acoustic waves" in Physical Review Applied, Vol. 10, Issue 2, 2018.